← It Ain’t a Crime to Cheer for Your Team … Or Is It? An Orioles player topped a Red Sox player at something? Now that’s news. I’d be excited if Aubrey Huff beat David Ortiz in a game of checkers much less at DH. How about selling high? It’s too bad Tampa Bay hasn’t come knocking for a trade as Huff loves the Tampa nightlife. If the Rays are going to consider Giambi and Griffey, why not Huff? As long as they’re going to make a bad move, it may as well benefit Baltimore in the process. Apparently it’s not just football where players “hear footsteps.” Matt Wieters is creating thunderous echoes for any and every Baltimore catcher as he marches toward Charm City. With the multidimensional (read: not overly talented at any one position) Freel in the fold, the O’s are going to have back-ups for their back-ups in the outfield. May as well grab Felix Pie while we’re at it. Luke Scott must indeed have strong faith if he thinks he’ll have a full-time role in 2009. The Yankees appear to have settled on a new organizational philosophy. Rather than overpay for old, injury-prone pitchers, they’re now overpaying for youngish, injury-prone pitchers. With this new Yankee free-agent philosophy in mind, could A.J. Burnett be far behind? 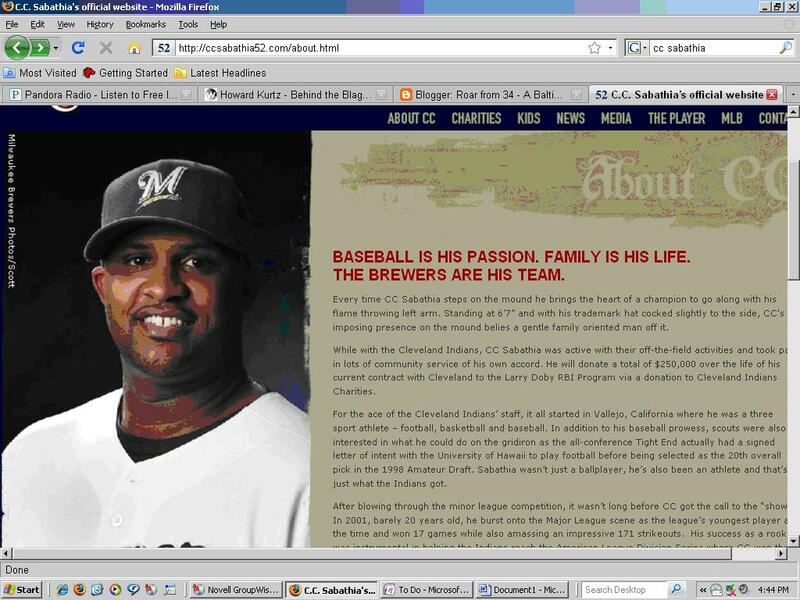 CC’s site still isn’t updated…Hope the deal is finally confirmed, as I can’t wait to see the Yankees tied to another albatross of a deal. You can see what CC was thinking, though: those pinstripes are slimming. Huff the Magic Dragon … love it.I agree that Sabathia could be an albatross for the Yankees. Burnett would be even worse.